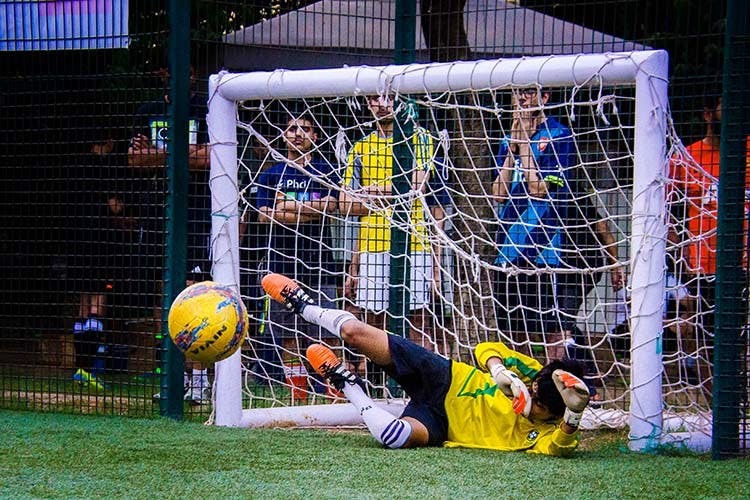 Sporty or not, you’ll love Hudle’s innovative sports events that take place all over Delhi and Gurgaon. Fancy a late-night game of 5 vs. 5 football on a floodlit pitch? Or have you been dying to get into a pool for the first swim of the season? Hudle organises pay-and-play events at different venues across the city and we’ve heard amazing things about them! At a recently concluded Football Hudle, in an open tournament format, different teams from the city competed for glory and adidas’ team came out on top. Tennis, basketball, football and badminton – regardless of which team you belong to, there’s a Hudle for you. Hudle’s Facebook page is constantly updated with details of their upcoming events – a Badminton Hudle is scheduled for May 28 in both Delhi and Gurgaon. In fact, this Hudle is likely to become a regular feature, slated to take place at the end of every month and players will be ranked according to the number of events they attend. Another exciting Hudle, planned for June, is the fifth edition of their super popular Midnight Football events so make sure you check back for details. If you’re looking for a fun, calorie-torching offsite with colleagues and bosses alike, Hudle is happy to host a special event just for your office as well.